Orange is not a very common color in gemstones, though a vivid orange stone makes stunning jewelry. 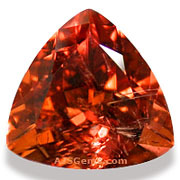 Spessartite garnet is considered the finest of the orange gems, but a number of other gems can be found in shades of orange, including sapphire, spinel, imperial topaz, tourmaline, citrine and mexican fire opal. Orange gems range in color from the pure and vivid orange of mandarin garnet and some orange sapphires to the red-orange and yellow-orange of Mexican opal, to the golden-orange of tourmaline and the pink-orange of padparadscha sapphire and rhodochrosite. Here is a brief tour through the world of orange gemstones, including some rare and less familiar gems. 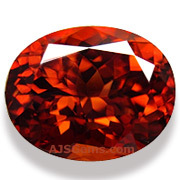 Spessartite or mandarin garnet ranges in color from a vivid orange to reddish orange and orange-red. The orange color derives from manganese, while the addition of traces of iron produce a redder color. Orange is a rare color in sapphire and is due to traces of vanadium. 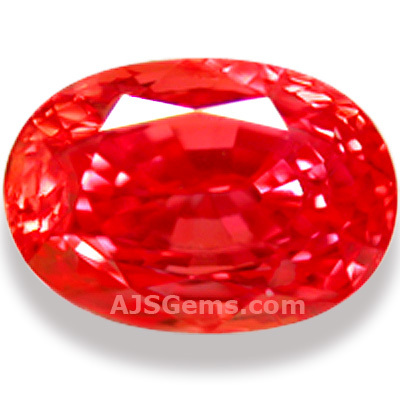 Some orange sapphires have a hint of pink and are known as Padparadscha. 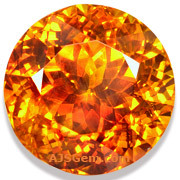 Orange sapphires have been found in Sri Lanka, Madagascar and Tanzania. Fire opal from Mexico is valued for its vivid body color, which ranges from white to yellow to orange-red. 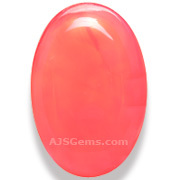 Unlike precious opal, Mexican opal does not usually exhibit a play of color. 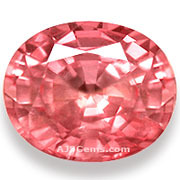 The most valuable spinel colors are red and pink, but the flame orange, though quite rare, is also popular with collectors. 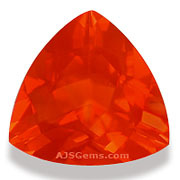 Most orange spinel comes from Tanzania or Burma. Tourmaline has become one of the most popular of all colored gemstones, due to its wide range of colors, good hardness, excellent transparency and vitreous luster. Orange is not a common color for tourmaline, but they can be found, sometimes mixed with pink or brown. Natural zircon is noteworthy for its high refractive index and excellent fire. In fact zircon has a higher refractive index than sapphire and ruby. Zircon also has impressive fire, with a dispersion rating nearly as high as diamond. 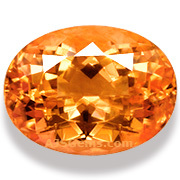 Zircon is found in a range of colors, including a red-orange. Imperial topaz, also known as precious topaz, is the rarest color of topaz -- a golden-orange to pink hue. Fine specimens come from the Ouro Preto region in Brazil. Sphalerite is a zinc sulphide that is quite rare in gem quality. 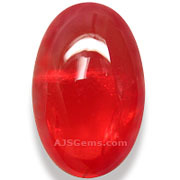 It is popular with collectors for its extraordinary fire or dispersion, which is greater than that of diamond. Citrine is a variety of transparent quartz that ranges in color from lemon yellow to orange to cognac. An inexpensive gem, citrine can be found in large sizes at very affordable prices. Rhodochrosite is a manganese carbonate, usually found in silver mines. The most highly regarded specimens come from the Sweet Home Mine in Colorado.